The essential range is the perfect choice, while maintaining an affordable budget. The signature kitchen range brings more choice colours and designs at a realistic cost. The platinum range gives you the ultimate selection of its highest quality materials, colour, choice and incredible design features. 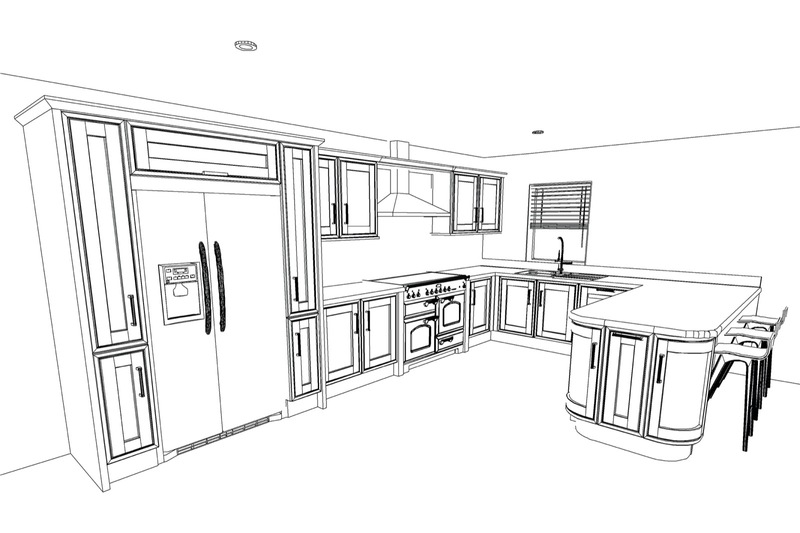 Contact us today for an informal chat about your kitchen requirements. Why choose Kitch Living Direct? All of our products are built on an unrivalled reputation established over almost 40 years of experience. We have carefully selected our range of kitchens to ensure that there is something to suit everyone. Our Kitchens are manufactured to the highest possible standard using the latest manufacturing techniques. We source the best quality materials from sustainable forests which we craft into the finest British made kitchens. At each stage of the manufacturing process our kitchens undergo a rigorous quality control process to ensure that you receive the highest quality product. To make your kitchen purchase as straight forward as possible, we’ve created a an essential list of things you’ll need to consider when planning your kitchen installation. After a friendly, informal chat with Kitch Living Direct I came away confident that I was buying the kitchen I’d always wanted, at a price that suited my budget. And installation took no time at all! I’m looking forward to enjoying my favourite room of the house for many years to come. Our kitchen was installed with great care and attention - we were really impressed with the quality of the materials and attention to detail. The finish is perfect. With Kitchliving we found we could design our kitchen right down to the fine details. Being able to choose finishing touches such as- flooring, lighting and accessories as part of the package made life so much easier. Kitchliving have a wide variety of choices and colours they can do anything from modern, classy, country and bespoke, we were unsure what to go for but with help we went for a modern design which has given our kitchen the wow factor. Just by looking at our kitchen you can see that it is very well made and the service we received was fantastic. It was beneficial that Kitchliving was able to provide a full projects management service that enabled us to have an open plan living, that we couldn’t find with any other kitchen supplier. One happy customer. This Kitchen is unique, and we love it. Mark and his Team delivered on our expectations and beyond. We now have a fully refurbed house too, which we were consulted on at every stage to ensure we got what we wanted. It was a refreshing attitude after having had builders in before, to find that he was interested in what we wanted to achieve from the refurb and new Kitchen. No regrets. All Good. Tight budget and difficult space were no problem for them! The design was just right for my little terraced cottage. They listened and interpreted my ideas beautifully. Kitchen fitting went smoothly too. I have absolutely no hesitation in recommending them. We had a several kitchen companies call round to discuss the design of our new kitchen but Mark from Kitch Living blew them out of the water! He is passionate about design and knew exactly what would look good, and came up with ideas we hadn't even considered. From the initial consultation to receipt of plans and subsequent delivery it was faultless. The quality of the kitchen he supplied is second to none and we are thrilled with the results. We had a few minor issues once the kitchen was fitted but these issues were dealt with professionally and efficiently making all the difference.